Consequence: A Memoir. Eric Fair. New York, NY: Henry Holt & Company, 2016. Since the 2003 invasion of Iraq, authors such as Tom Ricks and Rajiv Chandrasekaran have critiqued the incompetence of U.S. government policy and military strategy. 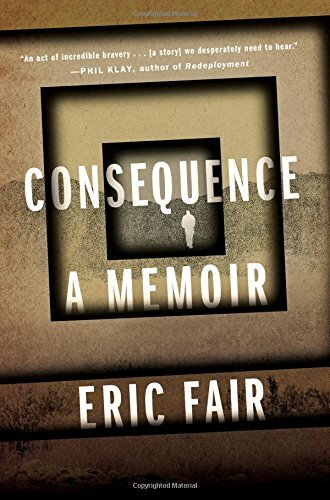 While Fiasco and Imperial Life in the Emerald City detailed incompetence at the political and strategic levels, Eric Fair’s Consequence: A Memoir illustrates the failure of leadership and ethics at the individual level. Further, the book calls into question the underlying assumptions of military professionals vis-à-vis contractors in combat. Eric Fair’s book details his life from his enlistment in the Army prior to 9/11 as an Arabic translator through his time as a private contractor and employee of the U.S. National Security Agency. The prose is straightforward and honest. His descriptions of the detainee abuse and moral cowardice he witnessed and experienced can be disturbing. The strengths of the book include both Fair’s writing style and his description of personal motivations. Multiple times throughout his deployments, Fair contemplates leaving the country to return home. However, his driving force to continue his mission is neither love for country nor kinship with those with whom who he works. Rather, Fair’s motivation is the almighty dollar. Indeed, when fellow contractors talked of quitting, Fair explained to them his 6-day system, where he figured it would take 6 days to get back home. Fair compared the 6 days of travel to how much money the contractors make every six days. With this amount of money in mind, Fair tells his fellow contractors “not to underestimate the value of money. This opportunity won’t come again.” To be blunt, it is difficult to feel sympathy for Eric Fair. In hindsight, Fair came to recognize he was not qualified to perform the job CACI hired him to do in Iraq. [2, 3] Rather than take the right path, Fair continued on his mission, hoping things would just work out while continuing to collect a paycheck. Fair’s desire to earn a profit in Iraq should serve as a reminder that not every American on the battlefield is there for the same motivations. The main weakness of Consequence is the author’s narrow view on a multitude of issues. For example, Fair displays little comprehension on the relationship between the military and contractors. Although Fair recognizes this during his time in Iraq, he does not describe in his memoir how military regulations or doctrine should or do define the relationship. He seems to have conducted little research to support his observations. This characteristic is not only evident in the book, which contains no footnotes or endnotes, but also encapsulates how Fair conducted himself throughout his deployments. Fair makes no mention of taking the time to research and read actual rules and regulations that govern interrogations, nor does he take the time to understand his duties and responsibilities as an employee of CACI. Those picking up the book should understand the use of contractors in warfare is not a new development. Indeed the historical use of contractors range from large corporations to individual advisors. 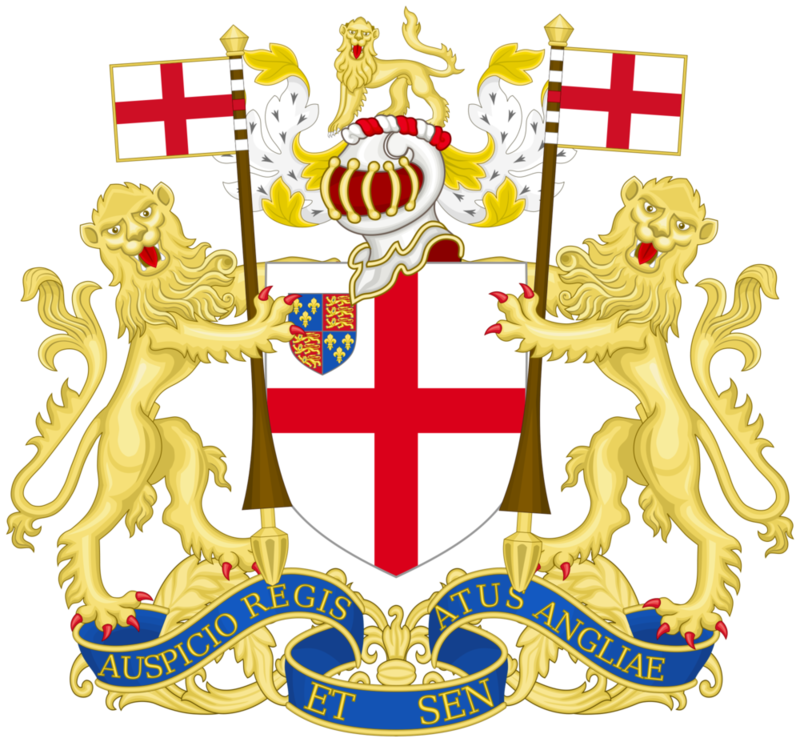 The English East India Company and the Dutch East India Company serve as two prime examples of corporate level contractors that executed foreign policy of their respective empires. Moreover, each of these organizations operated field armies and controlled territories larger than their respective home nations. Although these private companies expanded the power of both England and the Netherlands, at times they acted in direct opposition to the interests of their home state. For example, the English East India Company attacked Portuguese military positions in India despite orders from the English government to refrain from doing so. Corporate level contractors continue in modern times. For example, in Africa private companies such as Executive Outcomes played a pivotal role in multiple conflicts. Other historical examples of contractors in warfare include George Washington’s crossing of the Delaware, which culminated in a decisive victory over Hessian contractors working for the British. But, the use of contractors in the American Revolution was not unique to the British. Individuals such as Baron Von Steuben were also contracted soldiers. Yesterday, today, and for the foreseeable future contractors will remain a part of the battlefield. Commanders at all levels must account for contractors and understand the risks associated with their employment. The United States accepts risk anytime it puts men and women on the ground in a foreign country. Consequence highlights the risks the United States accepted in the use of contractors in Iraq. These included risks to the understanding of the chain of command and ethical or moral risk. Contractors are not subject to the Uniform Code of Military Justice, and although the military often rates their respective performance, there is no command authority. The relationship is strictly business. In other modern conflicts in the Balkans and the Middle East, the United States has employed numerous contractors to support combat operations. However, like the English East India Company cited above, U.S. contractors have not always acted in the best interests of the nation. Indeed, major crimes committed in combat zones over the past fifteen years included contractors. Nasoor Square, Abu Ghraib, and the sexual trafficking incidents in Bosnia conducted by DynCorp employees are but a few examples. Criminal behavior on the battlefield is broad in nature, and conducted by those in and out of uniform. When the United States military chooses to employ contractors to fulfill capabilities, be it for logistics or, in the case of Eric Fair, interrogations, understanding the inherent risk of employing contractors is paramount. A contractor—from the individual to the corporation such as Blackwater, DynCorp, or Eric Fair’s employer CACI—judges success by profits. Some cost saving measures CACI took, according to Fair, were to hire him without so much as in interview, medical exam, or any type of background investigation before sending him to Iraq to work detainee interrogations. 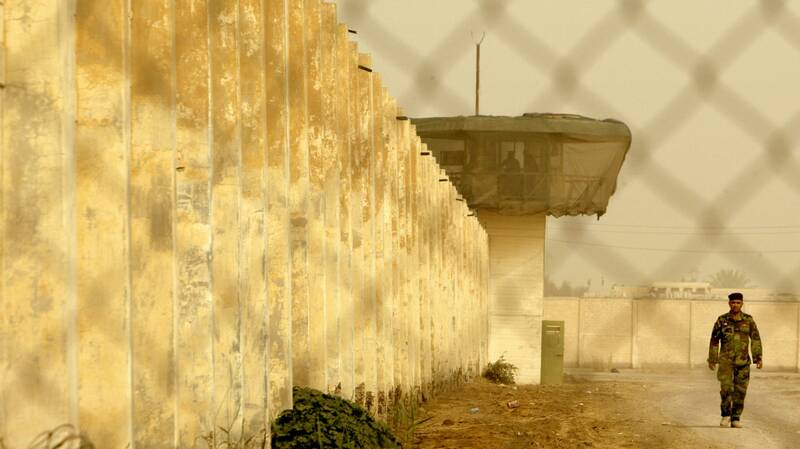 During his time at Abu Ghraib, Fair witnessed and in some instances engaged in the physical abuse of detainees. In an attempt to gather tactical information on a mortar team, Fair grabbed a detainee and violently shoved him into a wall. For the duration of Fair’s deployments, he would have the opportunity to speak up or to quit but failed to do so. Throughout the book, Fair uses these as examples of his own moral failings. Consequence should serve as a warning to military professionals in uniform that not everyone on the battlefield—neither contractors, civilians, nor those in uniform—is competent in the job they are expected to do. From a personal perspective, I have worked with phenomenal contractors throughout my career in the military. Often these contractors were retired military personnel who could find the time to step out of their contractor role and provide much needed advice to a young officer. Further, there is little doubt that the U.S. Army could not have sustained 100,000 troops in both Iraq and Afghanistan for nearly a decade without competent contractors in support. However, trust is earned. The military has an advantage of rank and badges that serve as a small measure of professional experience. In the rush to fulfill mission requirements—or in some cases to limit the official number of boots on the ground—the military should not be so quick to defer essential missions and jobs to the private sector. A simple reading of Joint Publication 4-10 Operational Contract Support would have helped his cause. P.W. Singer. 2003. Corporate Warriors: The Rise of the Privatized Military Industry. Cornell University. New York. Pg 37. 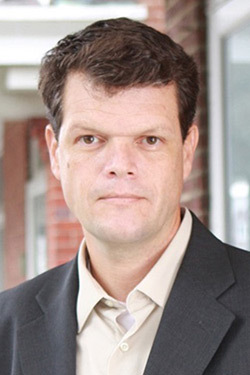 Paul Lockhart. 2008. The Drillmaster of Valley Forge: The Baron de Steuben and the Making of an American Army. Harper Collins Publishing. New York. 65-68. Fair. 2016. Consequence; A Memoir. Henry Holt and Co. Pg 62.